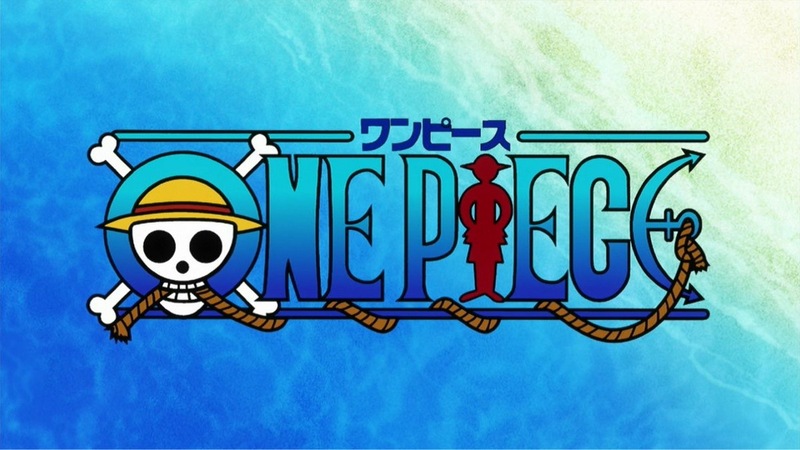 The Adventures of the Everyday Fangirl welcomes The Cantina Cast blogger Kat as a guest today to give us her love letter to Anime and One Piece. Anime often gets a bad rap. Despite that certain nerd fandoms are now becoming accepted, mainstream, and even “cool” (Star Wars, Star Trek, Marvel/DC Heroes), liking anime is still socially unacceptable. Take for example a conversation I overheard at this year’s Denver Comic Con: One attendee was admiring another’s anime cosplay, but basically told his friend he couldn’t publicly admit to liking anime for fear of being judged. How telling is it that at a convention designed to celebrate Nerd-dom, this person still felt he couldn’t openly admit to liking anime? I daresay many people who love anime (myself included) have felt the same way. But why is that the case? I believe there are two main reasons there’s a stigma associated with anime. The first is the old belief that cartoons are for children. While that perception has been changing with the advent of many Adult Swim shows, most Western cartoons for adults are primarily comedies. Anime, in contrast, encompasses every genre: comedy, romance, action, horror/thriller, fantasy, sci-fi, and more. And, well, there simply aren’t many Western equivalents that are marketed for adults. So to the average Westerner, an adult claiming he/she loves anime can seem a bit juvenile. So to summarize: When the “weeaboo” stereotype is combined with the view of cartoons being childish, the result is a negative association with liking anime. However, both these perceptions are, in fact, misperceptions. But even this is beside the point! What it really comes down to is that it’s OKAY for people to like what they like, even if you don’t get it. Not everyone will like anime – just as not everyone likes Star Trek, Star Wars, Doctor Who, comic books, etc. And most importantly, no one should be made to feel embarrassed for liking what they like! 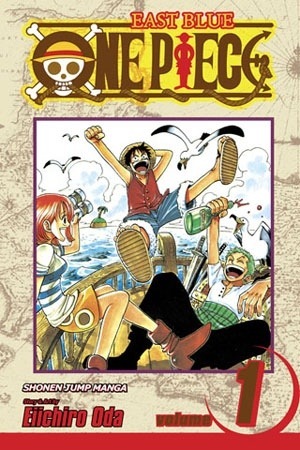 With that said, if you are skeptical about anime, or have never given it a chance, I invite you to keep reading while I tell you about one of my favorite anime series, One Piece. 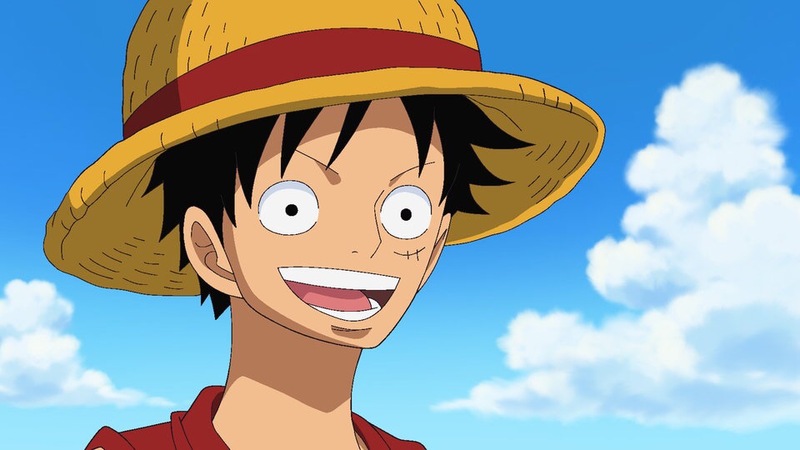 One Piece is based on the manga One Piece by Eiichiro Oda that tells the story of a pirate named Monkey D. Luffy. He is on a quest to become the King of the Pirates by finding the “One Piece” treasure of the previous Pirate King, Gol D. Roger. As he begins his quest, colorful characters join his crew, and they have adventures sailing the treacherous seas known as The Grand Line. One of the brilliant and captivating nuances of this show is that every story arc, long or short, takes place at a different island or exotic location. To give you an idea, they visit a floating restaurant, stop at islands of every climate, end up inside a whale, soar to an island in the sky, sail to an island at the bottom of the sea, and much more! They encounter friends and foes, many of whom have strange and deadly powers. They run headlong into each new adventure, dodging the Navy, defeating warlords, searching for treasure, saving innocents, exploring crazy locations, and become stronger with each new encounter. For as much as I love this show now, I’ll admit it took a while for me to give it a chance. To the outsider, One Piece can seem weird and a bit nebulous. It does, after all, have over 750 episodes and counting (the manga is also still being published). There are many characters, which can seem confusing, and most ads fail to capture the real heart of the show. It wasn’t until a Japanese friend told me it was his favorite anime that I decided to give it a try. Fast forward a couple years and I can honestly say that no show has made me laugh, smile, and cheer as much as One Piece. This anime is an ode to the spirit of adventure, exploration, and pursuing dreams. It has real story progression, genuine character development, and a world where anything seems possible. And the cherry on top is that it’s all woven together with a kind of ridiculous and innocent humor I can’t help but love. But what really strikes me about this anime is how happy I feel when watching it. Even when the characters endure heartbreaking trials and desperate struggles, the spirit of this show is heartfelt and inspiring. In a way, I feel that One Piece captures the spirit of anime as a whole. It demonstrates one of the medium’s biggest advantages: its versatility. Show creators have the leeway to play with ideas, characters, and situations that might otherwise prove unfeasible for, say, a live-action production. The other wonderful thing about anime is the storytelling, and One Piece is no exception. 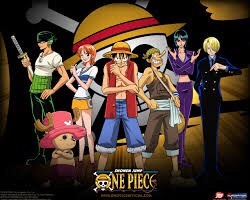 One Piece, as do most anime, features a character-driven story that allows the viewers to develop a kind of personal relationship with the characters. I daresay there aren’t many American cartoons that have that kind of depth or focus on character development. For instance, I love Superman, but let’s be honest, he’s pretty static as a character. I’d say one notable exception, though, would be Avatar: The Last Airbender. Yes, its target audience is younger, but over the course of the show we get to see all the characters growing in skill and maturity. Not only that, but it has some moments of real laugh-out-loud comedy. This is the experience I have when watching One Piece. The characters draw me in as they grow from the challenges they face, and I sympathize with them as I can see my own emotional struggles and dreams reflected in the characters’ struggles and dreams. This powerful effect of good storytelling is, perhaps, the key to why I love anime so much. Kat is a blogger for the Star Wars podcast The Cantina Cast. You can find her blogs at thecantinacast.net as well as their new site, thecantinacast.com. Have thoughts or comments you’d like to share? You can reach her by email at errantventurer@gmail.com and on Twitter @ErrantVenturer.